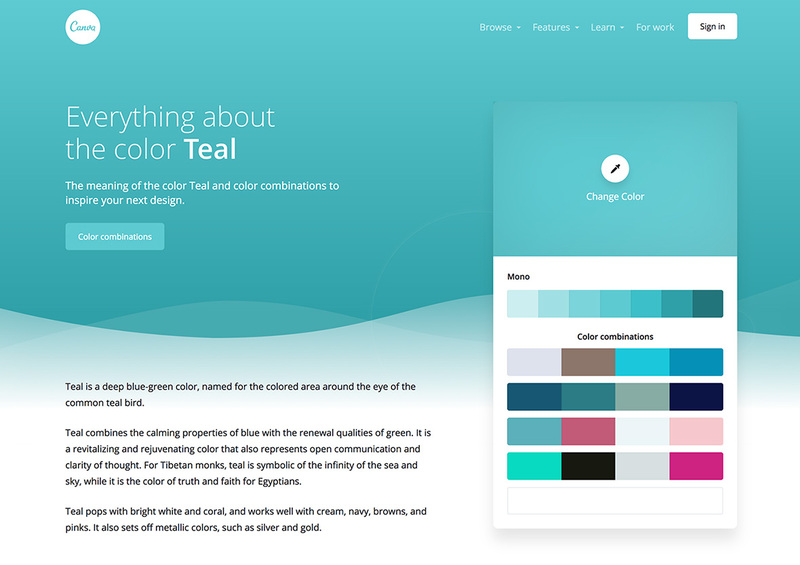 Great resources for colour inspiration and ideas. 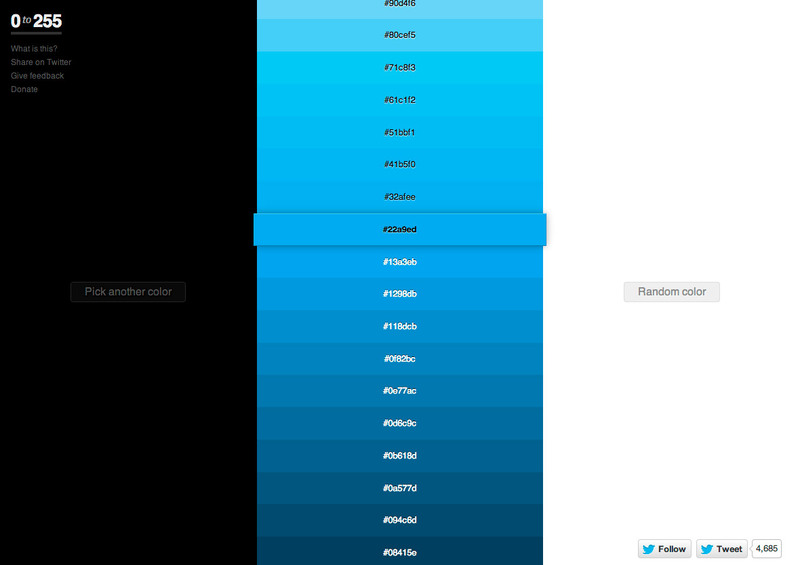 Here’s a list of website I visit to try and come up with different colour pallets. Each site has their strength and weakness, however based on what you’re trying to accomplish I usually find a combination of some (or all) produces some pretty amazing results. To be honest this is probably my site of choice. It provides a really good foundation of colour theory and colour combinations. 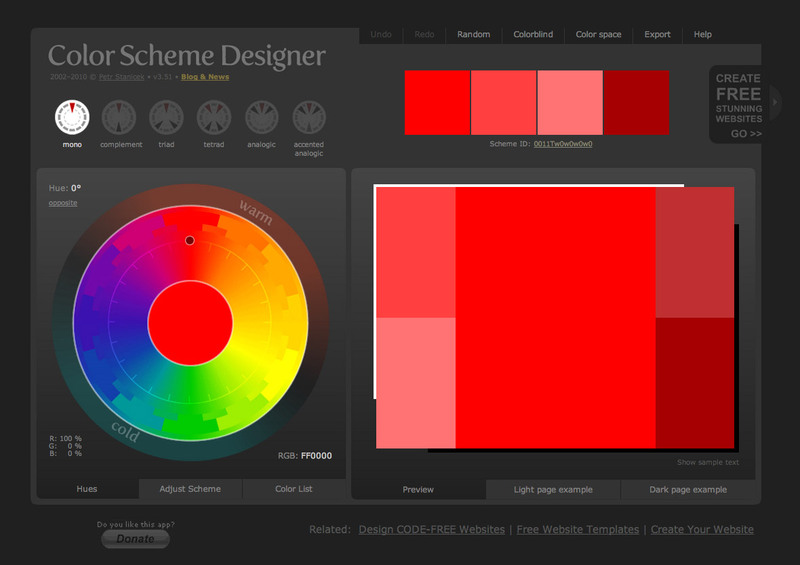 This site is best suited for when you are trying to find gradual colour combinations, perfect for more subtle effects. It helps you to find lighter/darker colours based on any colour you choose. When all else fails you use Adobe Kuler. 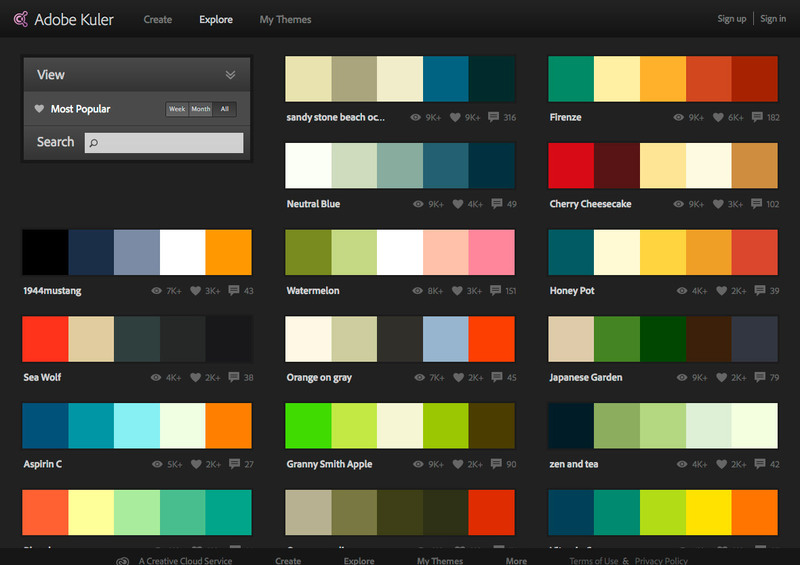 Get inspiration and ideas from colour combination posted by other people. You also have the ability to pay it forward and upload your own pallets for other people to use. Canvas does a great job of showing the colour in a monochromatic setting while offering suggestions of multiple colour palettes with your selected colour.